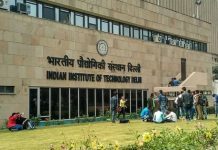 Chennai: Indian Institute of Technology Madras’ Biotechnology Department has got new state-of-the-art research facilities with the inauguration of a new Block today, 09th October 2017. The Block-2 of Bhupat and Jyoti Mehta School of Biosciences, Department of Biotechnology, IIT Madras, was inaugurated by Ms. Jyoti Mehta in the presence of Dr. Soumya Swaminathan, Director General, Indian Council of Medical Research (ICMR), Prof. Bhaskar Ramamurthi, Director, IIT Madras, Mr. Rahul Mehta, CEO, The Mehta Family Foundation, and other faculty. The Mehta Family Foundation, Houston, Texas has sponsored the Block-2, which will enable the expansion of Department of Biotechnology, IIT Madras, and accommodate special facilities such as an Animal House and a Cancer Tissue Bank. They had earlier sponsored construction of Block 1 of Bhupat and Jyoti Mehta School of Biosciences, and it now houses the Department of Biotechnology. “We need to work on the genomics of diabetes. The data science and IT expertise are a great Plus for IIT Madras. We should start using our computational processing capabilities to match existing data with other data sets. 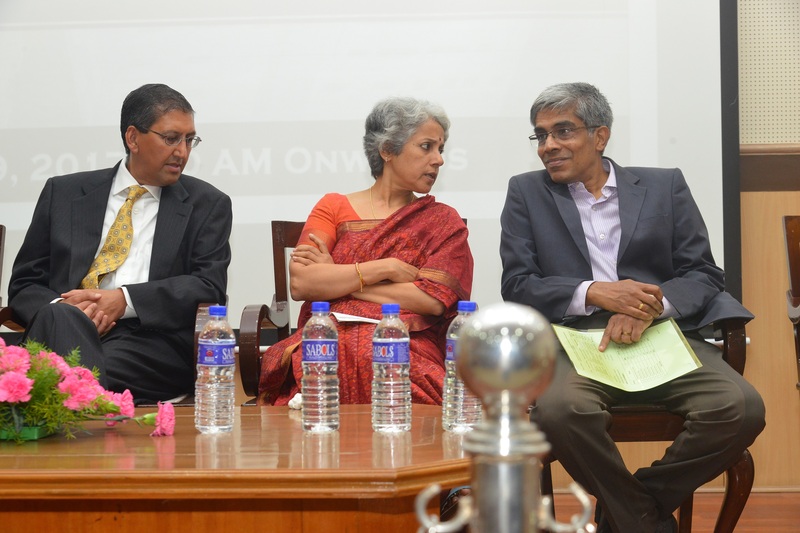 This will help find out many more information about diseases,” said Dr. Soumya Swaminathan. She said that the ICMR will be able to fast-track some of its innovations, research and development by working with institutes like IIT Madras, which have state-of-the-art infrastructure. She also recalled her earlier visits to the Bio-incubator of IIT Madras. Mr. Rahul Mehta expressed hope that IIT Madras and India will become great leaders in genetic revolution, which he said will be as disruptive as the innovations of the Silicon Valley. The major additions in Block 2 are the National Cancer Tissue Biobank (NCTB) and the Animal House. The NCTB, a state-of-the-art non-profit community based tissue bank, is a joint initiative of Department of Science and Technology (DST), Govt of India, and IIT Madras. It will collect cancer tissue samples with consent from patients diagnosed with cancer. Information about the previous medical history and treatment of the donors is also documented along with the tissue samples. The NCTB is first of its kind facility in India and aiming to provide researchers with high quality of cancer tissues and the patient data in order to facilitate cancer research that will lead to improvements in cancer diagnosis and treatment. The Animal House is mainly for research in the Medical Biotechnology area broadly and specifically for Cancer, Cardiovascular diseases, HIV, Tuberculosis and Stem Cell Biology in particular. It is a small animal facility that will have facilities for using rats, mice, rabbit and guinea pigs. It is important test the drugs first on animals before taking them on to human use and such basic preclinical data are essential in Medical biotechnology.